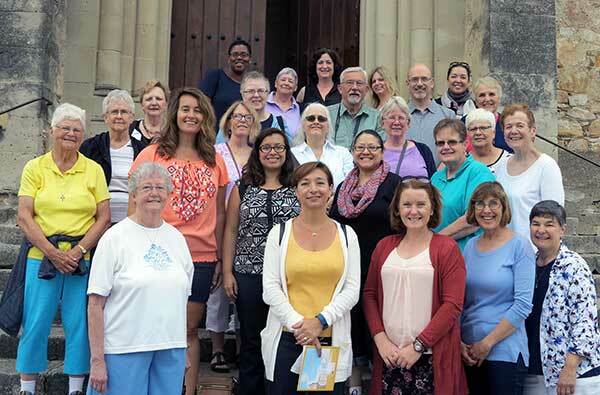 Twenty-seven participants, religious sisters and friars, associates, and laity who minister in Dominican institutions, came from many parts of the USA as well as South Africa to spend time in France to deepen their understanding of the Dominican charism. The experience of praying and walking where St. Dominic lived and preached profoundly touched the group and each came away with a renewed sense of the Dominican Family. Conferences, prayer, and discussions as well as visits to other places of interest to Dominicans enhance the program. Each person traveled back home with a spirited desire to live and spread the Dominican charism more fully. Next year’s program is scheduled for July 17 – 26, 2018. Contact Jeanne Goyette, OP (jgoyetteop@yahoo.com) for more information.